After almost 24 hours of travelling, my weary feet landed at Hong Kong International Airport. The jet-lag was almost non-existent other than expected aches from sitting in one position for so many hours. And because New York City and Hong Kong are 12 hours apart, I felt as if switching my internal clock over was a breeze. However, the work I put in to get to that point was not. All this was preceded by working a full bartending shift the night before, which ended at 2:00am, and then going straight to the airport after work. So in reality I had to stay up 24+ hours the night before. On a normal day, its impossible for me to do something like this. But strangely enough, I always find that the adrenaline from traveling somehow keeps me wide awake. And in the end, it definitely paid off. So there I was, an Asian-American person in Asia for the first time of my life. I didn’t really know how to feel. But I also didn’t go into it with any expectations. Of course I did my research on the city for the best places to eat and see, but other than that, I kept an open mind, which I find best with anything really. 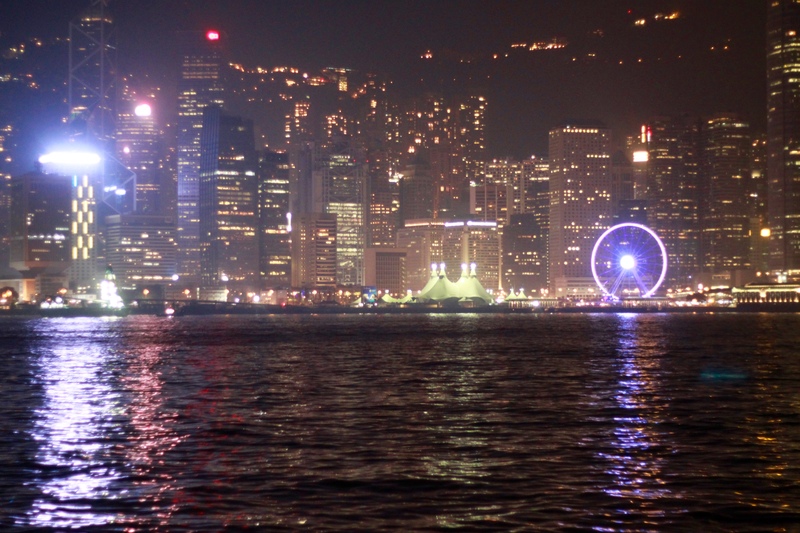 Knowing that Hong Kong is a widely English-speaking country, the lingering fear of being mistaken for someone that speaks Cantonese or Mandarin was still there. Yes, I know it sounds silly to have this complex, but its something that I’ve had for a while now. Its something that I’m slowly overcoming, but there are certain reasons why I have this fear, that rang true on this trip, which keeps me feeling the same. I’ll get to that later. Meanwhile, I needed to find my friends who flew in on a different airline, but arrived at almost the same time that I did. After I quickly made it through passport control into the arrivals hall, I realized how thirsty I was. The first thing I saw, of course, was a Starbucks. And as much as I detest going to American food places when I’m in a foreign country, especially a Starbucks, I honestly didn’t have time or energy to mosey around. I quickly approached the counter and ordered an iced tea, and made my way over to the meeting area. As I struggled to find a wireless connection to try and text my friends that I arrived, I looked up and immediately saw them, which was a huge relief. We gathered ourselves and our things and had the arranged transportation get us to the hotel. It had been a long day and all I wanted was to lay down and relax. When we finally arrived at the hotel, the employees were very accommodating and friendly. We were quickly checked in, and escorted to our exceptional suite. Now don’t get me wrong, I’m not a snob. The accommodations were being paid for as a company trip, and I was lucky enough to be tagging along. Also, we were only staying in Hong Kong literally overnight before leaving to Shenzhen at 7am the next morning, so we got to enjoy the “suite life” for probably 2 hours before going to bed. We would be returning to Hong Kong a few days later to the same hotel, but I knew the room we would get upon returning would definitely not be as nice as this one. In any case, I was there now and was going to soak up every minute of it. I still didn’t feel like I was anywhere different. Maybe it was all of the skyscrapers and the bustling streets that are so similar to New York City. Maybe it was the familiarity of being surrounded by Asian people. Or maybe it’s because I had not yet had that pivotal moment. But then it happened. As we entered our room, a panoramic view of Victoria Harbor and Hong Kong Island hit us in the face and I instantly re-awakened. It was incredible. And luckily for us we arrived a few minutes before a light show was to start. As tacky as it sounds, it was like the icing on the cake. My Asian travel adventure was about to begin and I could feel my tummy tingling. This is what I live for. This is what I crave. But first, a dip in the pool before going to bed with the excitement of what the next 10 days in Asia will bring. Shanghai, Shenzhen and Macao are on the itinerary. I’ve already completed the trip but will be posting more so stay tuned!